Quick, easy, and totally realistic! 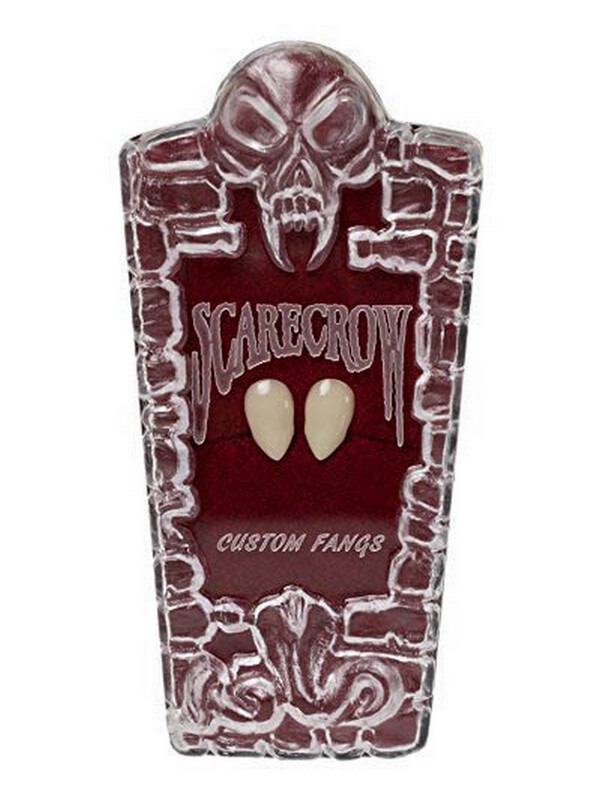 These dental fit fangs use a specially formulated dental material for fitting; which forms a permanent mold of your tooth inside each fang cap. This patented approach means you get a tight, rigid, snap-fit and allows for use again and again. Kit contains everything needed to fit your fangs on the spot with no additional utensils needed. 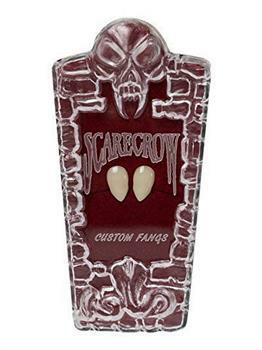 Includes one pair of custom fangs and a customizing kit. Not recommended for children under the age of 13, parental discretion advised. Care Instruction: Store out of extreme temperatures and sun.